McDonald’s, the world’s largest restaurant company and one of America’s most prolific employers, has announced it will cease lobbying against proposed minimum wage raises. Labor advocates believe the shift in company policy represents a major breakthrough for campaigns seeking to raise the minimum wage at the federal, state, and local levels. Politico.com first reported on a letter sent by the fast food purveyor to the National Restaurant Association notifying the industry organization of its change in policy. Earlier this month, the NRA issued a letter of strong opposition to the federal “Raise the Wage Act” (H.R. 582), the pending legislation in the U.S. House of Representatives that proposes to raise the federal minimum wage to $15 over five years and to tie further increases to annual cost of living adjustments. The bill also proposes to eliminate the sub-minimum wage and “tip credit,” among other measures. 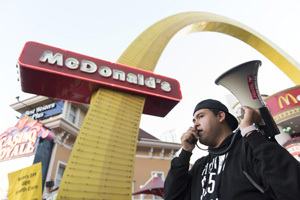 The McDonald’s policy reversal comes as it continues to contest a lawsuit brought by the National Labor Relations Board during the Obama presidency alleging that McDonald’s franchises with the support of the parent company retaliated against employees who participated in demonstrations to raise the nation’s minimum wage. CBS News noted that the fast food chain’s workforce isn’t as young or inexperienced as the company’s carefully crafted reputation may suggest. A new Franklin & Marshall College poll found that nearly seven in 10 registered voters in Pennsylvania favor an increase in Pennsylvania’s minimum wage, with about half of all voters “strongly” favoring an increase. 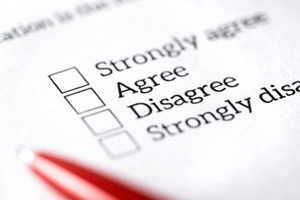 Researchers gathered the data from March 18 to 24 amid a growing public dialogue on the issue. Earlier this month, Senator Tartaglione introduced S.B. 12, which proposes to raise Pennsylvania’s minimum wage from $7.50 an hour to $12 this year, and to $15 by 2025, followed by annual cost of living adjustments. It would also eliminate the sub-minimum wage. Thirty-eight economists and social scientists have endorsed the plan that Senator Tartaglione crafted in partnership with Governor Wolf. Late last month, the New York Times Magazine examined the issue from a public health perspective, citing numerous experts who found direct correlations between low wages and many health problems ranging from poor nutrition and substance abuse to child neglect and premature death. Echoing comments delivered by Senator Tartaglione on the Senate floor on March 26, the Pennsylvania Capital-Star published a column by Keystone Research Center Executive Director Stephen Herzenberg on March 28 where the author cited empirical data to refute the notion that raising the minimum wage in Pennsylvania will cause widespread job losses or reductions. Regarding the growing national income gap, CBS News reported on March 26 that Wall Street employees have seen their typical annual bonuses increase by 1,000 percent since 1985, despite a 17 percent decline in 2018. In the same time, the federal minimum wage has increased by just 116 percent. So if the minimum wage had kept pace with the Wall Street bonuses, it would now be $33.51 per hour. 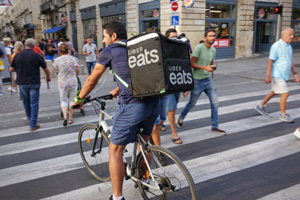 A newly released report by the National Employment Law Project examines how companies like Uber, Lyft, GrubHub, and Handy have spent millions of dollars trying to rewrite employment laws throughout the United States so “gig economy” firms can continue to classify workers as independent contractors and insulate themselves from state and federal worker protections. The full report, “Rights at Risk: Gig Companies’ Campaign to Upend Employment as We Know It,” discusses the potential widescale labor market ramifications of blurring employee/contractor distinctions. The companies have aligned with corporate partners and lobbying firms to influence legislation and regulatory rulemaking in many U.S. states. “Worker advocacy groups say the goal is to chip away at classification rules in enough places to create pressure for a broad exemption nationally,” the New York Times wrote of the NELP report. Under current labor law, employees benefit from minimum wage and overtime compensation protections, unemployment insurance and workers’ compensation, employer contributions to Social Security, and anti-harassment and discrimination protections. Independent contractor status does not offer those same benefits and protections under the law. NELP wrote that the issue transcends ridesharing enterprises such as Uber and Lyft, and impacts firms in other sectors that use digital platforms to dispatch services, including food delivery drivers, cleaning services, and handyman services. The companies portray themselves as technology firms that merely offer independent contractors a platform for obtaining work. They argue that contractors decide where and when they work and for how long. But worker advocates claim that companies like Uber also dictate work conditions through rating systems and incentive programs. The release of the NELP report occurred just days before Lyft became the first major rideshare company to go public. According to CNBC, shares were initially priced at $72 on March 29, with the company valued at more than $20 billion, although it has yet to turn an annual profit and may not for many years to come. Uber is expected to go public next month. About 1,200 unionized members of the Community College of Philadelphia faculty have voted near-unanimously to authorize a strike that their leaders have described as a “last resort” to resolve a three-year contract impasse. About 98 percent of members voted to authorize the labor action, according to the Philadelphia Business Journal. The union has not announced a strike date. “In announcing the vote, union leaders said its goal is to bring the CCP administration back to the negotiating table, where both sides have clashed over salaries, class loads, a policy change that would make it easier to fire employees and benefits,” the Journal reported. Among the contentions is an administration demand that full-time professors add two classes to their annual course loads, which would bring CCP faculty in line with their peers around the nation according to a college spokeswoman. Union leaders counter that CCP’s class sizes are eight or nine students larger than community colleges in neighboring counties. That would mean each professor would be responsible for educating close to 80 more students each year than professors in neighboring counties. The union has proposed an opt-in provision for professors who wish to accept larger course loads and collect additional pay. Meanwhile, the college is also seeking to implement a policy that would allow it to lay off employees “because of lack of work or other reasons,” the union told the Journal. About 27,800 students are enrolled at CCP, Philly.com reported. The U.S. House voted mostly along party lines on March 27 to approve legislation aimed at strengthening protections against wage discrimination. Seven Republicans joined the Democratic majority in supporting the Paycheck Fairness Act, which passed by a 242-187 vote, The Hill reported. Similar legislation to amend the Equal Pay Act and Fair Labor Standards Act has been introduced multiple times since 1997. “After decades of failing to address persistent wage inequity, this is our opportunity to strengthen the Equal Pay Act, boost the rights of working women, lift families out of poverty, and finally align our remedies for gender discrimination with other established anti-discrimination laws,” said Rep. Bobby Scott of Virginia, who chairs the House Education and Workforce Committee. Nationally, women make 80 cents on the dollar compared to men with the same education, training, job skills, and job responsibilities. In Pennsylvania, woman make just 79 cents on the dollar compared to men, ranking the Commonwealth 29th among U.S. States. On March 29, Senator Tartaglione introduced new legislation that would amend Pennsylvania’s Equal Pay Law, which was originally enacted in 1959. Senate Bill 504 would make it illegal to discriminate based on rate of pay and would clarify the circumstances under which employers could legitimately pay employees at different pay scales. The pending federal legislation, which will move to the U.S. Senate for consideration, would bar employers from inquiring about prospective employees’ earnings histories, prohibit retaliation against employees who disclose their earnings, and require employers to demonstrate legitimate reasons for pay discrepancies. The legislation would further protect employees’ right to file class-action lawsuits over pay discrimination and provide training on negotiation for women. During debate on the measure on the House floor, an Alabama Republican Congressman reportedly challenged Rep. Susan Wild, a Lehigh Valley Democrat, on whether she “understood the bill she was co-sponsoring,” according to the Morning Call. The exchange occurred as Wild opposed an amendment by Rep. Bradley Byrne that Wild argued would make the bill’s language more ambiguous and subject to interpretation. The Pennsylvania Senate is scheduled to reconvene on Monday, April 8, at 1 p.m.; Tuesday, April 9, at 1 p.m.; and Wednesday, April 10, at 11 a.m. For the full Senate schedule click here. To watch the Senate live, click here. S.B. 486 (Laughlin) – Would require municipalities that contract with third-party agencies to administer the Uniform Construction Code to contract with at least three third-party agencies. The bill would also rein in certain fees that many municipalities charge their constituents for inspections by requiring them to charge fees solely to cover the costs of program enforcement. S.B. 504 (Tartaglione) – Would make it illegal to discriminate based on rate of pay. Specifically, it would clarify the circumstances under which employers could legitimately pay employees at different pay scales. March is National Social Worker Professionals Month. Senator Tartaglione recently visited Jeanes Hospital in Philadelphia to pay tribute to the dedicated social workers of Jeanes and their sister medical facility, Fox Chase Cancer Center. If you meet Senator Tartaglione and pose for a photo, we would like to publish it in the Labor Report. Please send your photos to wkenny@pasenate.com for inclusion in an upcoming edition. I invite your thoughts on the legislation in this report. 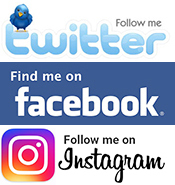 Please use my Facebook, Twitter, Instagram or email accounts to provide feedback.